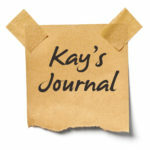 Kay’s Journal: Beginner Mind | Welcome to the new Journalverse! Every year since 2002 I have taught at least one Writing and Healing course as adjunct professor in the University of Denver’s Professional Writing master of arts program. Although all of the students are studying to be authors and poets, and several keep writing journals, most have limited experience with journal writing for their own personal process. That’s why we always start with the basics in Week One. Here’s a glimpse into some “beginner mind” matters and my responses – as well as a student’s advanced interpretation of a classic technique. A student describes her stop-start pattern, including deal-breakers such as not writing every day or not having anything interesting to write about. I really encourage you to simply explore, experiment, play in a notebook — no rules — no expectations — no drama. Try a dialogue with your journal — ask your journal how it wants to be treated, what it requests of you, what you ask of it, etc. Treat your journal like a buddy and see how it responds! Can you give yourself this 10-week window to see what happens when you loosen some of your internalized rules? Also check back in with the “choices” chapter [of Journal to the Self]. Are you giving yourself what you want in a book/pen/etc.? A student asks his peers, “Do you ever feel like when you don’t write that it impacts your outlook/attitude/mood?” Those who consider themselves regular writers agree. I hear this a lot from clients and students. Those who are writers (whether journal, professional, or aspiring to break into print) often say that they notice a difference in their capacity for critical thinking, creative engagement with life, capacity for peace of mind, heart, spirit when they fall off the writing routine. For some of us (I include myself! ), writing is like cardio exercise or clean eating — it takes work, we don’t always want to, we don’t have time, but things just work better when we figure out ways to make it happen. A student says that she has a decades-long history of going through stages where she alternates between episodes of sustained writing, then falls silent for months or years. As I get older and can get a wide-angle view of my journal trajectory, I realize that ebbs and flows are completely normal, at least in my process and those of many people I’ve worked with. If you’ve been in a fallow time, and you’re ready to activate again, I’d encourage you to use this 10-week interval to explore whatever feels manageable for you — keeping it real and remembering that there’s no wrong, just write — do yourself the kindness of realistic expectations. 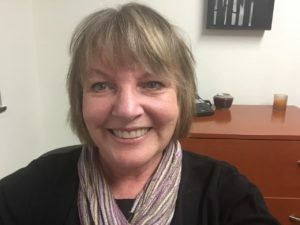 A student raises the idea of a Sent Letter as another valid journal device – a thoughtful process letter sent (in her case, by email) specifically so that the sender can have a voice in the closure, whether or not ever acknowledged. You raise a very interesting point and one that we do tend to skip by in the binary “send and regret it” or “don’t send–just shred it!” The differentiating factor, which I realize now is not specifically named, is that with all the caveats about the Unsent Letter, we’re assuming we’re talking about the first draft, the raw, uncensored, full-on rage or pain or betrayal. And sometimes the first draft gets started over a bunch of times and all of them say essentially the same thing. That’s what you’re talking about. And that’s a whole different animal, but one that I have overlooked. So I thank you for this teaching, and I completely agree that a letter derived from your own intentional process of discernment, communicated with integrity in the service of your own healing and empowerment, and perhaps, as collateral benefit, the healing/empowerment of the other, could be an excellent step toward closure. Your turn! Do you have a “beginner mind” tip? or question?